When it comes to setting up corporate events, first impressions can sometimes make or break important deals and networking opportunities. Here at Mcghee’s Marquees, we recognise the importance of getting things right first time to set you on your way to becoming a hit with your employees, colleagues and counterparts in other businesses. We offer bespoke arrangements for corporate events, and our staff will be keen to collaborate with you and take on board every specification and request you may have to make a lasting impression with guests. Time is money, and we endeavour to work tirelessly to set you up to fit perfectly into your specific timeframes – enabling a seamless transition from-and-to the workplace. 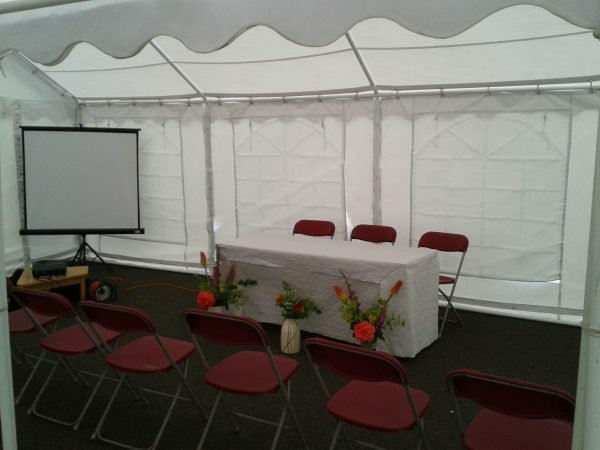 make your presence at any corporate event a success with a marquee or accessories from our dedicated event hire team.